Adrian Flux is one of the largest insurance brokers in the UK, based in a historic mansion 6 miles east of King’s Lynn in Norfolk the company employs around 1,000 staff members and has around 600,000 policy holders as of 2016. Parent organisations of Adrian Flux include Bikesure Insurance Services, Herts Insurance Consultants and Chartwell Insurance. 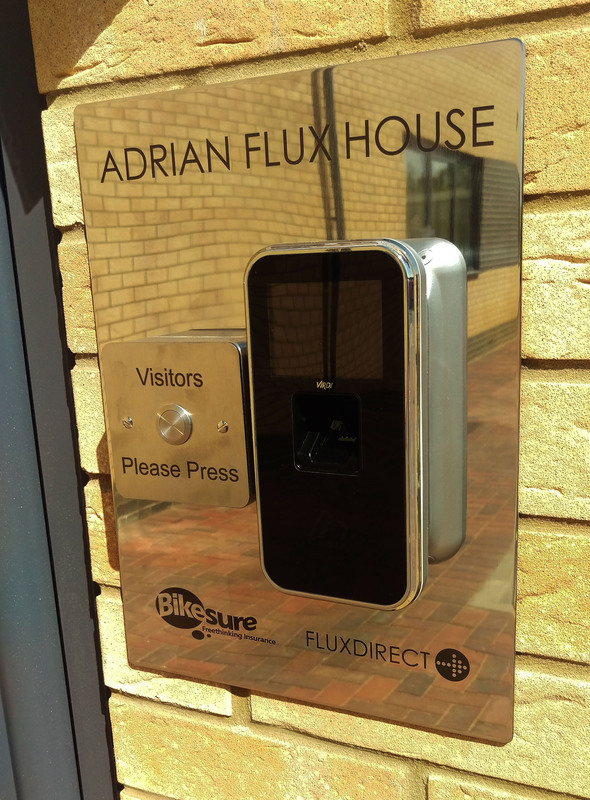 Adrian Flux recently added an additional office as part of their operation expansion after outgrowing their current premises just outside Kings Lynn. The company required a Paxton Net2 Access Control system for their new building. Operational continuity was important, as other offices across the country were using Paxton Net2 Access Control Systems. During the tendering process many installation companies offered competitive quotes to install Paxton Net2 as requested. After presenting Genie’s award winning AC5000 fingerprint reader alongside the Paxton Net2 system, English Security secured the installation contract. With the cost of tokens being substantial, together with the ability to use biometric and proximity RFID – Genie’s Virdi AC5000 meant that the proposed solution from English Security was not only cost effective in the long term but also extremely versatile. This appealed to Adrian Flux, as not only were they getting an advanced system, but they were also saving considerably in the long-term whilst keeping their Paxton Net2 system as originally requested. The AC5000 is a “Paxton Approved Integrated” fingerprint terminal, which also offers RF-ID Card and Pin code as access methods. Further more the AC5000 is a CPNI approved terminal for government use, assuring the customer that they are investing. The system received positive feedback from staff, as they were impressed by the advanced biometric feature and front-end software of the Virdi AC5000.